Doyle is finished, but what about the men who supported him? Release of details from the Freckleton report into disgraced Melbourne lord mayor Robert Doyle has all but buried his chances of recovery, though the fate of the powerful men who enabled him is less certain. Mayne: forget bike bans, is Melbourne killing car-sharing? 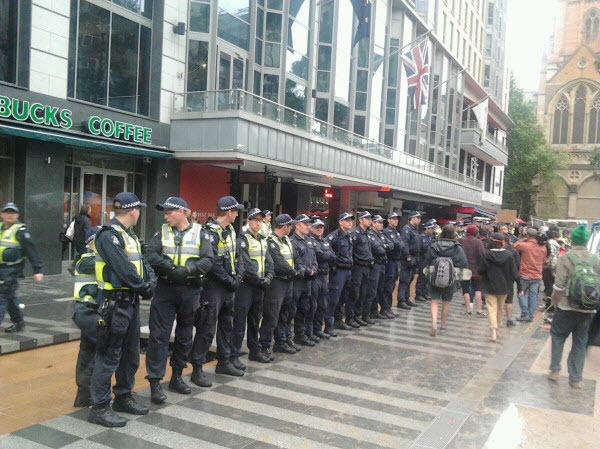 Victoria Police have acted on Lord Mayor Robert Doyle's demands to evict members of Occupy Melbourne from their indefinite camp in City Square, calling in the force's shield-wielding riot squad to disperse the tent city. Peter McMullin's filthy dirty campaign for Melbourne mayor backfired on him, writes Terry Maher.